Not to be confused with Badula. Badulla (Sinhalese : බදුල්ල, Tamil : பதுளை) is the main city of Uva Province situated in the lower central hills of Sri Lanka. It is the capital city of Uva Province and the Badulla District. Sinhalese, known natively as Sinhala, is the native language of the Sinhalese people, who make up the largest ethnic group in Sri Lanka, numbering about 16 million. Sinhalese is also spoken as a second language by other ethnic groups in Sri Lanka, totalling about four million. It belongs to the Indo-Aryan branch of the Indo-European languages. Sinhalese is written using the Sinhalese script, which is one of the Brahmic scripts, a descendant of the ancient Indian Brahmi script closely related to the Kadamba script. Sri Lanka, officially the Democratic Socialist Republic of Sri Lanka, is an island country in South Asia, located in the Indian Ocean to the southwest of the Bay of Bengal and to the southeast of the Arabian Sea. The island is historically and culturally intertwined with the Indian subcontinent, but is geographically separated from the Indian subcontinent by the Gulf of Mannar and the Palk Strait. The legislative capital, Sri Jayawardenepura Kotte, is a suburb of the commercial capital and largest city, Colombo. Badulla is located in the southeast of Kandy, almost encircled by the Badulu Oya River, about 680 m (2,230 ft) above sea level and is surrounded by tea plantations. The city is overshadowed by the Namunukula range of mountains (highest peak 2,016 m (6,614 ft) above sea level). It was a base of a pre-colonial Sinhalese local prince (regional king) who ruled the area under the main King in Kandy before it became part of the British Empire. 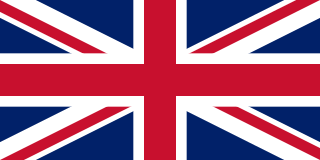 Later, it became one of the provincial administrative hubs of the British rulers. The city was the end point of upcountry railway line built by the British in order to take mainly tea plantation products to Colombo. Namunukula is the name of a mountain range in Sri Lanka's province of Uva. Its main peak is 2,035 metres (6,676.5 ft) high. The name means "Nine Peaks". It also the name of a town near it which is sometimes called Namunukula Town. 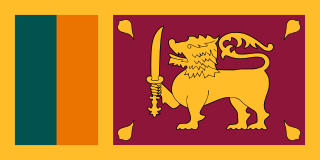 The Sinhalese are an Indo-Aryan-speaking ethnic group native to the island of Sri Lanka. They constitute about 75% of the Sri Lankan population and number greater than 16.2 million. The Sinhalese identity is based on language, historical heritage and religion. The Sinhalese people speak the Sinhalese language, an Indo-Aryan language, and are predominantly Theravada Buddhists, although a small percentage of Sinhalese follow branches of Christianity. The Sinhalese are mostly found in North Central, Central, South, and West Sri Lanka. According to the 5th century epic poem Mahavamsa, and the Dipavamsa, a 3rd–5th century treatise written in Pali by Buddhist monks of the Anuradhapura Maha Viharaya in Sri Lanka, the Sinhalese are descendants of settlers who came to the island in 543 BCE from Sinhapura, in India, led by Prince Vijaya. Badulla is about 230 km (140 mi) away from Colombo towards the eastern slopes of the central hills of Sri Lanka. There are multiple routes to Badulla from Colombo, Kandy and Galle. From Colombo, one can travel via Ratnapura, Balangoda, Haputale, Bandarawela and Hali Ela along A4 and A16 to Badulla, which may take 5–6 hours. From Kandy there are two routes: either via "Victoria-Randenigala Raja Mawatha" or via Nuwara Eliya (route A5). From Galle, the best route is via Matara, Hambantota, Wellawaya, Ella, Demodara and Hali Ela (route A2). All routes are scenic and one can see splendid views of the geography, which changes while travelling. Badulla and its surroundings are highly recommended for eco-tourists as Horton Plains National Park and the Knuckles mountains are a few hours away. Ratnapura is a major city in Sri Lanka. It is the capital city of Sabaragamuwa Province, as well as the Ratnapura District, and is a traditional centre for the Sri Lankan gem trade. It is located on the Kalu Ganga in south-central Sri Lanka, some 101 km (63 mi) southeast of the country's capital, Colombo. Ratnapura is also spelled as Rathnapura. Balangoda is a large town in Ratnapura District, Sabaragamuwa Province, Sri Lanka, governed by an urban council located 143 kilometres (89 mi) away from Colombo and 43 kilometres (27 mi) from Ratnapura on Colombo - Batticaloa Highway(A4). It is one of the largest towns of the Sabaragamuwa Province. According to the 2001 census, Balangoda has a population of 16,875 and area of 16.2 km2. Haputale is a town of Badulla District in the Uva Province, Sri Lanka, governed by an Urban Council. The elevation is 1431 m (4695 ft) above the sea level. The area has a rich bio-diversity dense with numerous varieties of flora and fauna. Haputale is surrounded by hills covered with cloud forests and tea plantations. The town has a cooler climate than its surroundings, due to its elevation. The Haputale pass allows views across the Southern plains of Sri Lanka. The South-West boundary of Uva basin is marked by the Haputale mountain ridges, which continue on to Horton Plains and Adam's Peak to the west. CNN in 2010 named Haputale as one of Asia's most overlooked destinations. Badulla was an isolated village until the British built roads from Kandy and Nuwara Eliya in the mid 19th century, as part of the growing plantation economy. By the 20th century Badulla had become a regional hub, with the British establishing it as the capital of Uva Wellassa, now known as the Uva Province. Badulla still has a number of British colonial buildings existing, including the Badulla railway station, which opened in 1924. The station is the last train station on the Main Line, which served as the rail line by the British to transport tea collected from the Badulla district to Colombo. Badulla district is one of the leading tea producing districts, second only behind the Nuwara-Eliya District. Uva Province is Sri Lanka's second least populated province, with 1,259,880 people, created in 1896. It consists of two districts: Badulla and Moneragala. The provincial capital is Badulla. Uva is bordered by Eastern, Southern and Central provinces. Its major tourist attractions are Dunhinda falls, Diyaluma Falls, Rawana Falls, the Yala National Park and Gal Oya National Park. The Gal Oya hills and the Central mountains are the main uplands, while the Mahaweli and Menik rivers and the huge Senanayake Samudraya and Maduru Oya Reservoirs are the major waterways. Badulla railway station is the last station on the Main Line, and is 292.3 km (181.6 mi) away from Colombo. It is located 652.43 m (2,140.5 ft) above mean sea level and 1 km (0.62 mi) from Badulla, the capital city of Uva Province. The trains that run on the Main Line, including the Podi Menike and Udarata Menike express trains end at the station. The Main Line is a major railway line in the rail network of Sri Lanka and considered by many to be one of the most scenic train journeys in all of Asia. The line begins at Colombo Fort and winds through the Sri Lankan hill country to reach Badulla. Badulla is a multi-national city with the ancient Muthiyangana Temple situated in its heart. 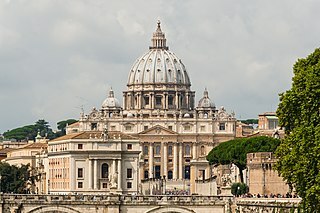 The Catholic Church has a diocese headquartered here. It is emerging as a well developed city in Sri Lanka with a state of the art provincial hospital and many more developments. Muthiyangana Raja Maha Vihara is an ancient Buddhist temple located in the middle of Badulla town in the Badulla District of Uva Province in Sri Lanka. The Roman Catholic Diocese of Badulla is a diocese of the Latin Rite of the Roman Catholic Church in Sri Lanka. Old Welekade Market is a historic colonial building, situated in middle of the Badulla town. It was built in 1889 by British. Dunhinda Falls , a 64 metres (210 ft) high waterfall, is located 5 kilometres (3.1 mi) north of Badulla. This is one of the most popular waterfalls of Sri Lanka, mentioned in several famous songs and works of literature. It draws many local and foreign tourists to the region. St Mark's Church , built in memory of Major Thomas William Rogers, Assistant Government Agent of Uva Province, who died 7 June 1845 after being struck by lightning at the Sherwood Estate in Haputale. It was the first church to be consecrated (25 April 1857) by the first Bishop of Colombo Rev. James Chapman. Kandy is a major city in Sri Lanka located in the Central Province. It was the last capital of the ancient kings' era of Sri Lanka. The city lies in the midst of hills in the Kandy plateau, which crosses an area of tropical plantations, mainly tea. Kandy is both an administrative and religious city and is also the capital of the Central Province. Kandy is the home of The Temple of the Tooth Relic, one of the most sacred places of worship in the Buddhist world. It was declared a world heritage site by UNESCO in 1988. Nuwara Eliya is a city in the hill country of the Central Province, Sri Lanka. Its name means "city on the plain " or "city of light". The city is the administrative capital of Nuwara Eliya District, with a picturesque landscape and temperate climate. It is at an altitude of 1,868 m (6,128 ft) and is considered to be the most important location for tea production in Sri Lanka. The city is overlooked by Pidurutalagala, the tallest mountain in Sri Lanka. Nuwara Eliya is known for its temperate, cool climate – the coolest area in Sri Lanka. Hatton is a town in the Nuwara Eliya District of Central Province, Sri Lanka governed by the Hatton-Dickoya Urban Council. Hatton is a major centre of the Sri Lankan tea industry. Badulla is a district in Uva Province, Sri Lanka. The entire land area of the Badulla district is 2,861 km² and total population is 837,000. The district is bounded by the districts of Monaragala and Rathnapura on the East & South, by Ampara and Kandy districts on the North and by Nuwara Eliya and Matale on the West. Mainly the economy of the district is based on agricultural farming and livestock. Udarata Menike is a daytime passenger train that runs between Colombo and Badulla in Sri Lanka. The Central Province is one of the nine provinces of Sri Lanka, the first level administrative division of the country. The Central Province is primarily in the central mountainous terrain of Sri Lanka. It is the 6th largest province by area and is home to 2.5 million people. It is bordered by North Central Province to the north, Uva Province to the east, North Western Province to the west and Sabaragamuwa Province to the south and west. The province's capital is Kandy. Beragala is a small town in Sri Lanka. It is located in Badulla District of Uva Province, Sri Lanka. It is located 183 km away from Colombo along the A4 Highway. The area is known for its natural environment, as well as for landslides. Idalgashinna is a small village in the Badulla District, Uva Province, Sri Lanka. Situated at an elevation of about 1,615 metres (5,299 ft) above sea level, it is located in the Haputale-Namunukula mountain range. The area is home to the Idalgashinna Estate, with the closest large town being Haputale, about 9km south on the railway. Between the two locales lies the Thangamale Bird Sanctuary. Education in the area comes under the purview of the Welimada Divisional Secretariat, which administers the Idalgashinna Tamil Vidyalaya, Beauvais Tamil Vidyalaya and the Ellethota Vidyalaya. Talawakelle is a town in Nuwara Eliya District in the Central Province, Sri Lanka, governed by an Urban Council. It is the center of Dimbula tea planting district, the largest tea growing area in Sri Lanka. It is situated on A7 colombo-Nuwara Eliya highway. The altitude of Talawakelle is 1,198 metres (3,930 ft). Talawakelle railway station is one of the major stops of Udarata or Main railway line. The town is administrated by Talawakelle-Lindula urban council. Ella is a small town in the Badulla District of Uva Province, Sri Lanka governed by an Urban Council. It is approximately 200 kilometres (120 mi) east of Colombo and is situated at an elevation of 1,041 metres (3,415 ft) above sea level. The area has a rich bio-diversity, dense with numerous varieties of flora and fauna. Ella is surrounded by hills covered with cloud forests and tea plantations. The town has a cooler climate than surrounding lowlands, due to its elevation. The Ella Gap allows views across the southern plains of Sri Lanka. Hatton Station is a railway station on the Main (Colombo-Badulla) railway line in Sri Lanka. It is situated between Rozella and Kotagala railway stations. It is 173.06 kilometres (107.53 mi) along the railway line from the Colombo Fort Railway Station at an elevation of about 1,262.5 m (4,142 ft) above sea level. Tea production is one of the main sources of foreign exchange for Sri Lanka, and accounts for 2% of GDP, contributing over US $1.5 billion in 2013 to the economy of Sri Lanka. It employs, directly or indirectly, over 1 million people, and in 1995 directly employed 215,338 on tea plantations and estates. In addition, tea planting by smallholders is the source of employment for thousands whilst it is also the main form of livelihoods for tens of thousands of families. Sri Lanka is the world's fourth-largest producer of tea. In 1995, it was the world's leading exporter of tea, with 23% of the total world export, but it has since been surpassed by Kenya. The highest production of 340 million kg was recorded in 2013, while the production in 2014 was slightly reduced to 338 million kg. Badulla Kataragama Devalaya is an ancient devalaya, situated in Badulla, Sri Lanka. It is a devalaya that is dedicated to the Sinhalese deity Kataragama deviyo, whose main and major shine is situated at south part of the island at Kataragama. The devalaya has been formally recognised by the government as an archaeological protected monument. The designation was declared on 23 March 1952 under the government Gazette number 10395. Lindamulla Pattini Devalaya is an ancient Devalaya, situated in Badulla Divisional Secretariat, Sri Lanka. It lies on Demodara - Spring Valley - Badulla road main road, approximately 1.5 km (0.93 mi) away from the historic temple Muthiyangana Raja Maha Vihara. The shrine is dedicated to Sinhalese goddess Pattini who is believed to be the patron goddess of fertility and health. The devalaya has been formally recognised by the government as an archaeological protected monument. The designation was declared on 8 July 2005 under the government Gazette number 1401. ↑ Peebles, Patrrick (2015). Historical Dictionary of Sri Lanka. Rowman & Littlefield. p. 49. ISBN 9781442255852. ↑ Archived September 8, 2006, at the Wayback Machine . Wikivoyage has a travel guide for Badulla . Wikisource has the text of the 1911 Encyclopædia Britannica article Badulla .